Are you concerned about the refugees imprisoned on Manus and Nauru? Join us for a weekly vigil to help raise awareness of their plight. We're back at parliament house from 4.30 to 5.30pm. 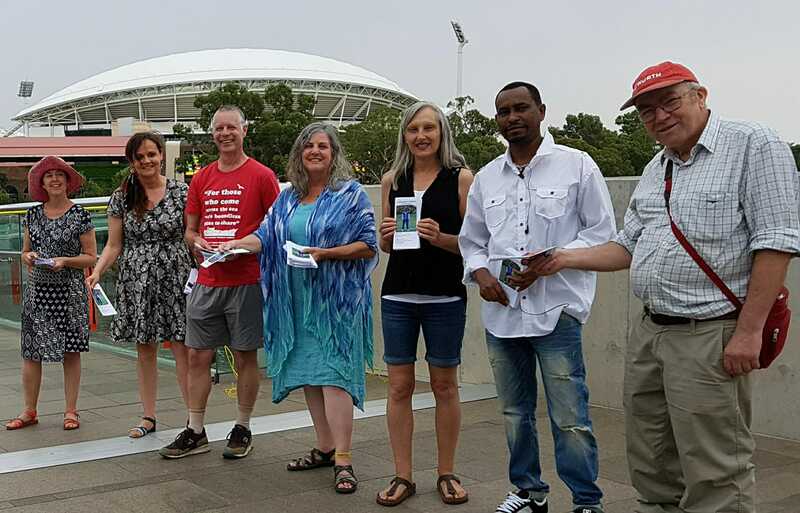 Then walking to the southern end of the footbridge to hand out flyers to those going to the big bash finals. It will be great if you can join us in getting information about what's happening on Manus and Nauru out there.